I am writing this entry from Buenos Aires. I arrived yesterday morning after a nine-hour flight from Miami. (I spent the preceding week with my family in South Florida.) Upon arriving in the city, I promptly crashed before heading out to explore. The city is very European in feel. Things are relatively cheap here, the country having seen its economy tank about five years ago; the Argentinean peso used to be pegged 1:1 to the U.S. dollar, but now a buck gets you about three pesos. One interesting thought: the southern reaches of South America represent the farthest places that human beings walked to from their prehistoric origins. Five continents down, two (Africa and Antarctica) to go. I am staying in room 1321 of my hotel in B.A. That's on the 13th floor. I thought most buildings didn't have a 13th floor, as it has traditionally been considered bad luck. I guess it's okay here because it's really the 14th floor, since the Argentines count the European way, with the first floor one story up from the ground. I am fumbling through my Spanish this week, despite six years of formal instruction in the language in junior high and high school. That was a while ago, I guess, and not counting a few days in Puerto Rico a year ago, this is really the first time I've been in an entirely Spanish-speaking environment. I find myself slipping into French (which is odd, as it's a language I did NOT study!) when attempting to communicate with shop clerks and waiters. Last night, I nearly paid a news vendor 29 pesos when he asked me for 19. I am a bit envious of the students at my school who receive really good foreign language instruction and then often are sent to countries where they have to use it. As I've mentioned before in these cyber-pages, I'm generally a proponent of globalization. I teach a unit on the topic using Thomas Friedman's The Lexus and the Olive Tree in one of my courses. The rapid development of computer technology is a major piece of globalization. As one who travels a fair bit, I have benefited greatly in recent years from globalization. Not only has it become easier to get around the globe, I can stay in touch with home with an Internet connection in a cybercafé (or, even better, if I have high speed wireless in your hotel, as I do now!). I book my own flights and hotel reservations after shopping around online. It's easier to feel like a citizen of the world, at least in major cities. There is a down side to all this, though. On the day the Choate squash team arrived in England for its U.K. tour last March, I listened to the BBC while driving to our first stop in the country (everyone else was asleep due to jet lag, but of course I was behind the wheel and needed something to keep me from dozing off). There was an interesting report aired about how backpackers from Britain on their gap year--a year off between high school and university--could travel the world without ever really cutting their ties to home. Young Brits could easily stay in touch via e-mail and cell phones, watch Manchester United games virtually anywhere in the world, consume the food they were accustomed to in familiar eateries, and consequently rarely ever have the need to leave the "tourist bubble." That is, they infrequently had to interact with non-English speakers or immerse themselves into truly foreign situations. Looking at my own travel habits, I can see the trap all too well. I rely on the International Herald Tribune to give me my fix of the New York Times each day, whether I am in London, Rome, Tokyo, or Buenos Aires. CNN is ubiquitous in hotels everywhere. I find myself surfing to familiar sites and even shopping on Amazon while half a world away. I cruise around world capitals with white earbuds playing me a comfortable soundtrack. In my hotel, I can fire up movies from home on my portable DVD player. I am routinely in touch with my work, communicating regularly with colleagues via e-mail even while "on vacation." I wonder sometimes if it would be far better to cut myself off from the familiar and leave the laptop, the iPod, and the rest of the digital paraphernalia back home. But, then of course, how could I update this blog? After a late lunch on the waterfront in the Puerto Madera section of town, I saw the Mothers of the Plaza de Mayo, a gathering of protestors who meet weekly on Thursday afternoons in the center of the capital. 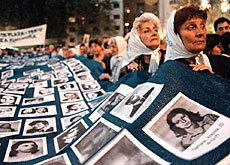 All of these women had children who disappeared--presumably at the hands of the military juntas--during the Dirty War period of Argentine history. It was pretty moving. The scene wqas evocative of the Sting song, "They Dance Alone (Gueca Solo)," though the lyrics of that piece focus on a similar group in neighboring Chile, rather than Argentina. Off to Brazil this morning . . . 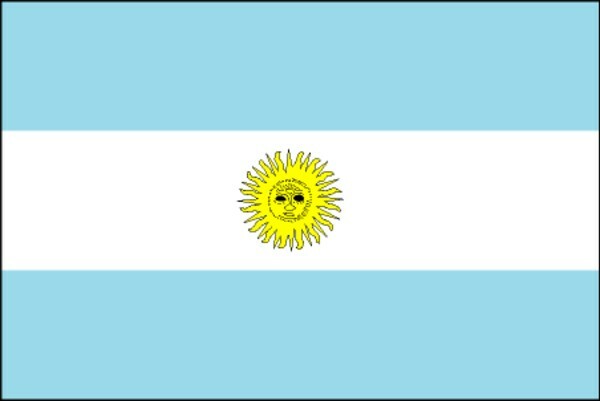 This page contains an archive of all entries posted to As Far As You Know in the Buenos Aires category. They are listed from oldest to newest. Budapest is the previous category. Cairo is the next category.